Early in the week students concentrated on nature inspired art, while nature displayed its own original work in the form of rain. 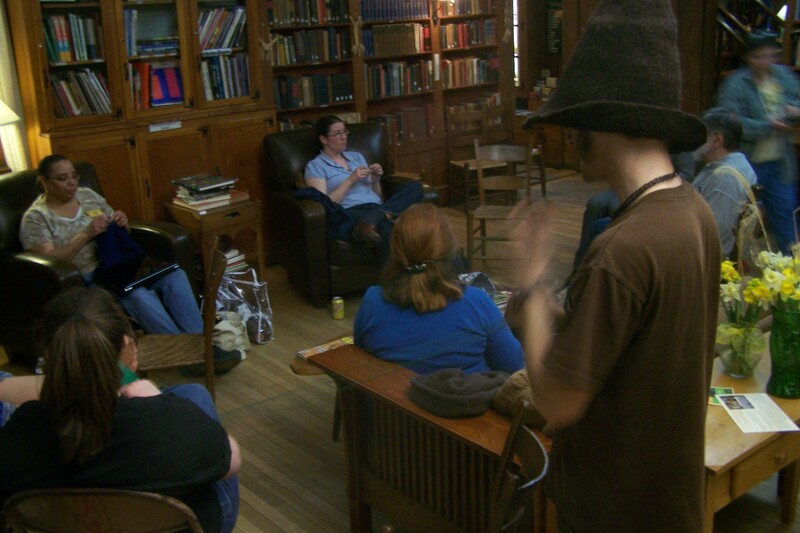 But the sun seems to be shining through the clouds now, bringing nice spring light into this week’s Earth Week classes. I’ve spent the morning meandering about the Folk School’s campus visiting as many studios as I can to see what students are making this week – baskets, clay, jewelry, furniture, to name a few – all with materials of the earth. One class I did happen to peak into was perhaps my personal favorite. 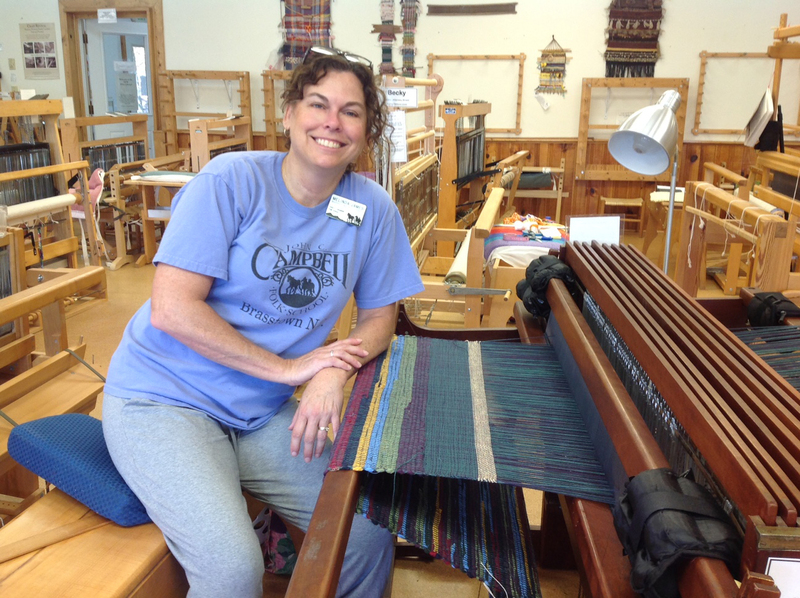 Surprisingly it was the quilting class. 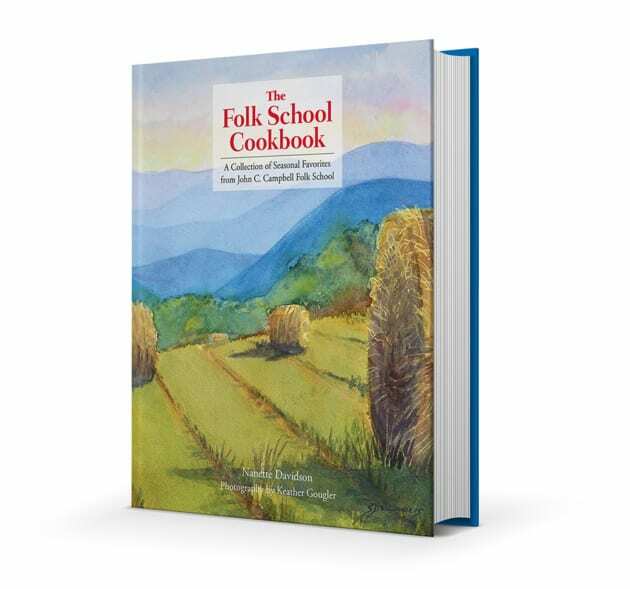 I usually skip past those classes in the catalog when dreaming about sessions I’d like to attend. 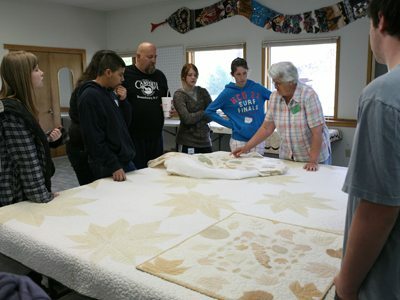 But the Cherokee leaf pounding this class was doing turned out some of the most beautiful quilts I’d ever seen. And the process was so much like the process of nature itself that I left mesmerized. Top: Pounding a Japanese maple leaf onto muslin. 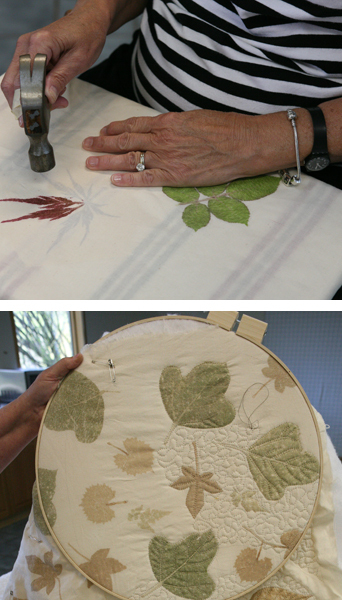 Bottom: A detail of Bettye's quilt shows the Kudzu (green) leaves, muscadine, maple and a small castor bean leaf. Leaves and plant material are taped to an all-natural fabric, then pounded, transferring the chlorophyll from the plant to the cloth. The design is set with a vinegar and water solution. The deep greens were astonishing, as if the color had been painted on. 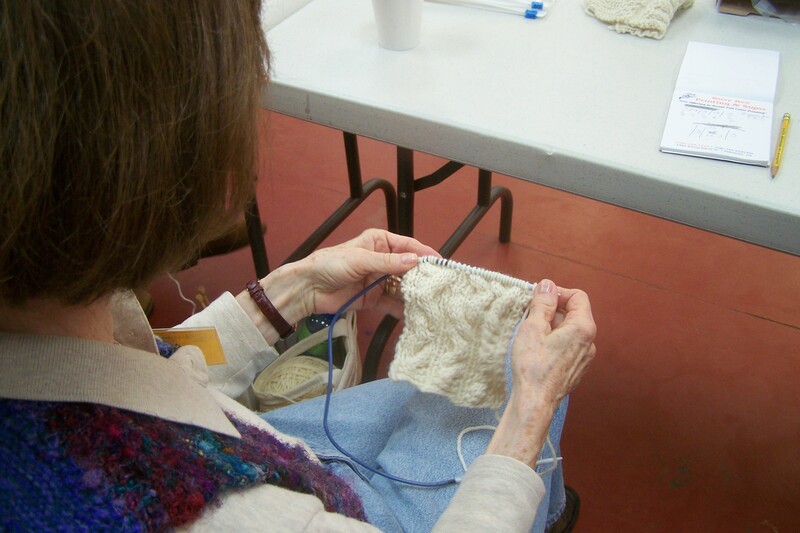 It was explained that after a while the color fades to brown and neutral tones, the only natural thing to do as the instructor explained. 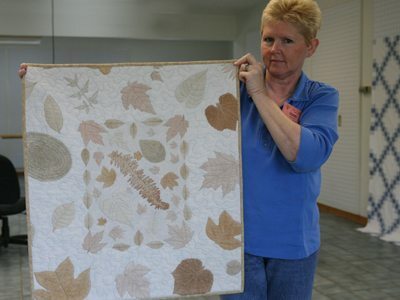 “That’s what chlorophyll does when you take it away from it’s life source.” The end result was soft and natural, a quilt of nature itself; right down to the stitching, all hand sewn with intricate designs, as detailed as the original leaf pounded into the cotton. 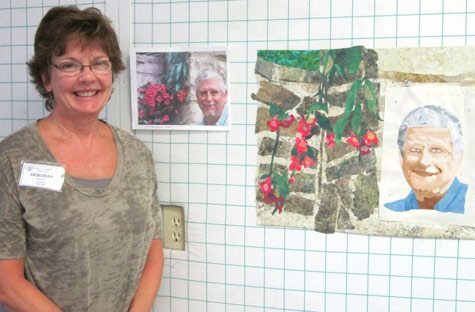 Perhaps even more inspiring was the instructor herself, National Endowment for the Arts National Heritage Fellow Bettye Kimbrell displayed a gigantic quilt with huge castor bean leaves pounded and stitched. The quilt itself is impressive and stately, but the story behind it is even more moving. At the request of her late husband Calvin J. Kimbrell, she set out to make him the quilt only to tell him it would not be practical. It was too big, and there weren’t even enough castor bean leaves to cover it. He pulled out a packet of seeds from his pocket and said when spring arrived they could finish the quilt then. Two weeks later, Calvin died of a massive heart attack. Bettye came upon the seeds not long after, held onto them, and in the spring placed them in the ground to eventually complete this quilt of nature, beauty and love. The quilt is rarely exhibited outside of close circles of family and friends. Diane displays her lovely hanging. Bettye explains the leaf pounding process to local high school students visiting the Folk School for the day. Is there a fixative one can spray or paint over the pounded flowers to help retain the color? Although I’m a Cherokee Indian, I had not heard of this Cherokee skill until last week when it was mentioned in a short clip on local TV. Thanks for this information; I have about 26 family heirloom quilts, but not were done with this method! Each spring I remind everyone at our quilt guild meeting that it’s time to get out the hammers and pound some flowers. The juices are rising and it’s a lot of fun….loud, but fun. I enjoyed the pictures. 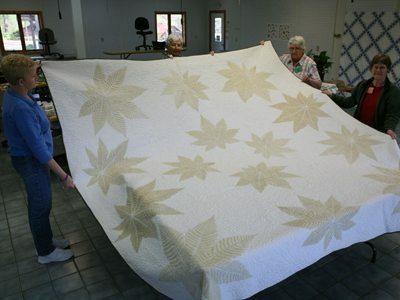 There is a large quilt in the quilt museum in Paducah, Ky. made from large pounded leaves.